Anderson, David A., Abydos, Predynastic sites, (编) Bard, Kathryn A., Encyclopedia of the archaeology of ancient Egypt, London: Routledge, 1999 . Bard, Kathryn A. (编), Old Kingdom, overview, Encyclopedia of the archaeology of ancient Egypt, London: Routledge, 1999 . Brovarski, Edward, First Intermediate Period, overview, (编) Bard, Kathryn A., Encyclopedia of the archaeology of ancient Egypt, London: Routledge, 1999 . Bryan, Betsy M., Administration in the reign of Thutmose III, (编) Cline, Eric H. and O'Connor, David, Thutmose III: A new biography, Ann Arbor: The University of Michigan Press, 2006 . Fischer, H. G. A parental link between two Thinite stelae of the Herakleopolitan period. Bulletin of the Egyptological Seminar. 1987–1988, 9: 15–23 [2010-05-21]. Frood, Elizabeth. Biographical texts from Ramessid Egypt. Atlanta: Society of Biblical Literature. 2007 [2014-06-17]. ISBN 978-1-58983-210-7. Grimal, Nicolas-Christophe. A history of ancient Egypt. Oxford: Blackwell Publishing Ltd. 1992. Hamblin, William J. Warfare in the ancient Near East to c. 1600 BC. Abdingdon: Routledge. 2006 [2014-06-17]. ISBN 978-0-415-25589-9. Kitchen, Kenneth Anderson. Ramesside inscriptions: Translated and annotated. 4. Oxford: Blackwell Publishing Ltd. 2003. ISBN 0-631-18429-5. Leahy, A. Nespamedu, "king" of Thinis. Göttinger Miszellen (Göttingen). 1979, 35: 31–39 [2010-05-21]. Lesley, John Peter. Man's origin and destiny sketched from the platform of the sciences. Philadelphia: J. B. Lippincott & Co. 1868 [2014-06-17]. Massey, Gerald. Ancient Egypt: The light of the world 2. London: T. Fisher Unwin. 1907. Patch, Diana Craig. The origin and early development of urbanism in ancient Egypt: A regional study. Philadelphia: University of Pennsylvania. 1991 [2014-06-17]. Pinch, Geraldine. Handbook of Egyptian mythology. Santa Barbara: ABC-CLIO. 2002 [2014-06-17]. ISBN 1-57607-242-8. Redford, Donald B. The wars in Syria and Palestine of Thutmose III. Leiden: Brill. 2003 [2014-06-17]. ISBN 90-04-12989-8. Ryholt, K. S. B. 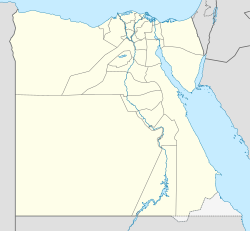 The political situation in Egypt during the Second Intermediate Period, c. 1800 – 1550 BC. Copenhagen: Museum Tusculanum Press. 1997 [2014-06-17]. ISBN 87-7289-421-0. Shaw, Ian. The Oxford history of ancient Egypt. Oxford: Oxford University Press. 2000. Strudwick, Nigel C. Texts from the pyramid age. Atlanta: Society of Biblical Literature. 2005 [2014-06-17]. ISBN 978-1-58983-138-4. Tacoma, Laurens E. Fragile hierarchies: The urban elites of third century Roman Egypt. Leiden: Brill. 2006 [2014-06-17]. ISBN 90-04-14831-0. Wilkinson, Richard H. Reading Egyptian Art: A Hieroglyphic Guide to Ancient Egyptian Painting and Sculpture. London: Thames & Hudson. 1992.